Our Wellbore Stability Specialists use the industry-acclaimed JewelSuite™ Modular Geomechanics software. During the planning phase, our Specialists can create a geomechanics model to predict mud weights necessary to maintain stability in each hole section as well as optimize wellbore trajectory and casing points. During the drilling phase, the RT is enabled allowing our Specialists to monitor logging and drilling data and update the geomechanics model in RT to avoid potential instability issues. JewelSuite™ Geomechanics – Wellbore Stability module enables our Specialists to reliably predict the optimal mud weights, wellbore trajectory and casing points required to prevent wellbore instability before drilling to update those predictions in RT to mitigate wellbore collapse, tight hole, stuck pipe, excessive hole cleaning, fishing, kicks and lost circulation, thus preventing unplanned sidetracks and minimizing expensive non-productive time (NPT). The safe operating window is incorporated in the ERD design to optimize well designs, maximize drilling performance, minimize drilling risk, and improve safety. 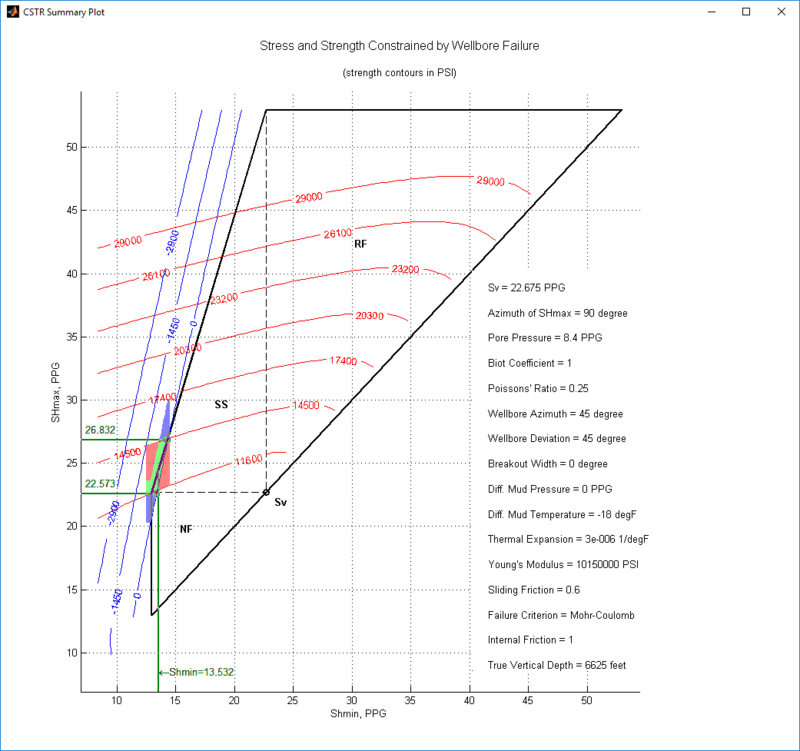 Using this module, our Specialists can evaluate the effects of bedding planes, temperature effects and inclined stress. A sensitivity analysis can be carried out at certain depths based on well orientation, mud weight, unconfined compressive strength and breakout width, allowing our Specialists to better understand the potential impact of surge and swab pressures or changing trajectory or rock strength on wellbore stability. The sensitivity of the model to various input parameters can also be carried out for particular casing intervals or specific depths. 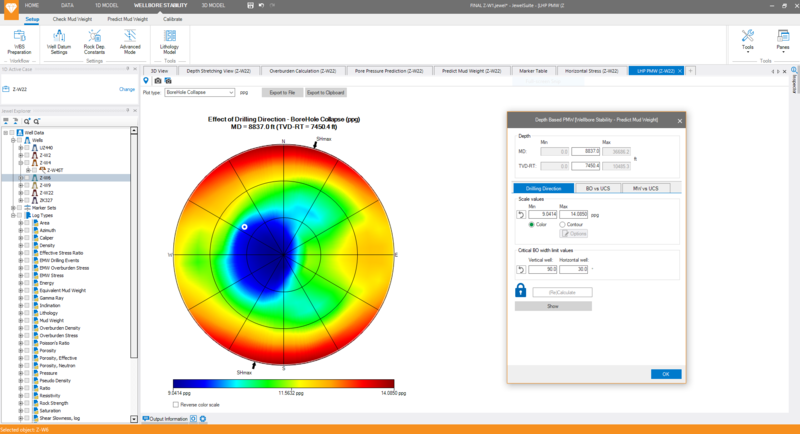 This enables our Specialists to put an uncertainty range on their mud window predictions and help you determine what data needs to be acquired in future wells to increase confidence in the geomechanical model used for the wellbore stability analysis. Our Pore Pressure and Geopressure teams use the JewelSuite™ Geomechanics – 1D Model software module to reliably predict abnormal pressure before and during drilling to mitigate kicks, blowouts, lost circulation to reduce NPT. We also use this software module to determine the lithology, rock properties, in situ stress models in green and brown fields. These well-centric geomechanics models are applied to advanced geomechanics analyses such as wellbore stability analysis, full-field 3D geomechanics model and simulation, as well as critically stressed fractures/faults analysis. Using this software module, our team use petrophysical logs such as wireline logs and LWD logs, laboratory measurements and regional/drilling data to create well-centric geomechanics models consisting of lithology, rock mechanical properties, overburden pressure, pore pressure, minimum and maximum horizontal stress, and fracture pressure. 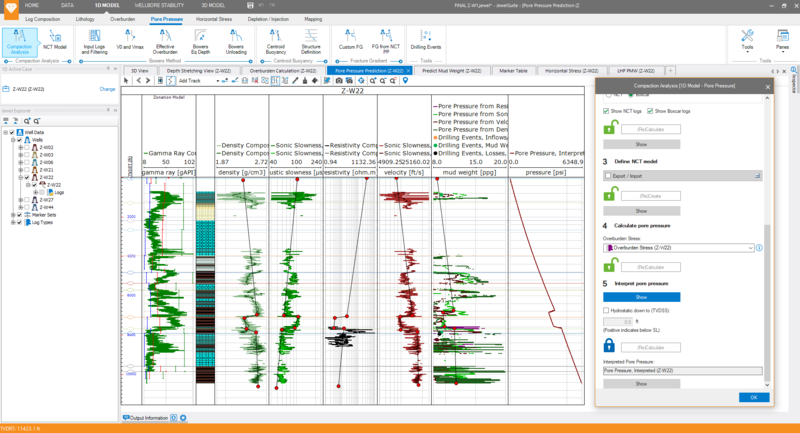 Our team can include drilling events, manage multiple wells and scenarios, depth-stretch logs along well tops, displays logs graphically, analyze local correlations, calculate stress in depleted reservoirs and create customizable reports. A full field 3D geomechanics model can be generated from the individual wells in the field using this software module. This high-resolution 3D model captures the variation in stress, pore pressure and rock properties of your entire study area while honoring the structural model and 1D well models. This module addresses moderately complex geology without major stress distortions such as elasto-plastic deformation near salt formation. Limitations of 1D log depth-stretching in highly deviated wells is eliminated making it more suitable to extended reach drilling and horizontal drilling design. The 3D model also provides convenient geomechanical models to be applied to any arbitrary proposed well trajectory. Our Geomechanics team use the GMI-SFIB (Stress and Failure of Inclined Boreholes) software modules to constrain in situ stress from wellbore failure. This can also be applied to determine wellbore failure, optimal mud weights and drilling trajectories from the geomechanics model. Modeling the conditions consistent with observed wellbore failure features, such as drilling-induced failures or wellbore breakouts, allows our Specialists to constrain the stress state around a wellbore. This analysis is particularly useful when attempting to constrain the magnitude of the maximum horizontal stress, as it cannot be achieved through direct measurement. 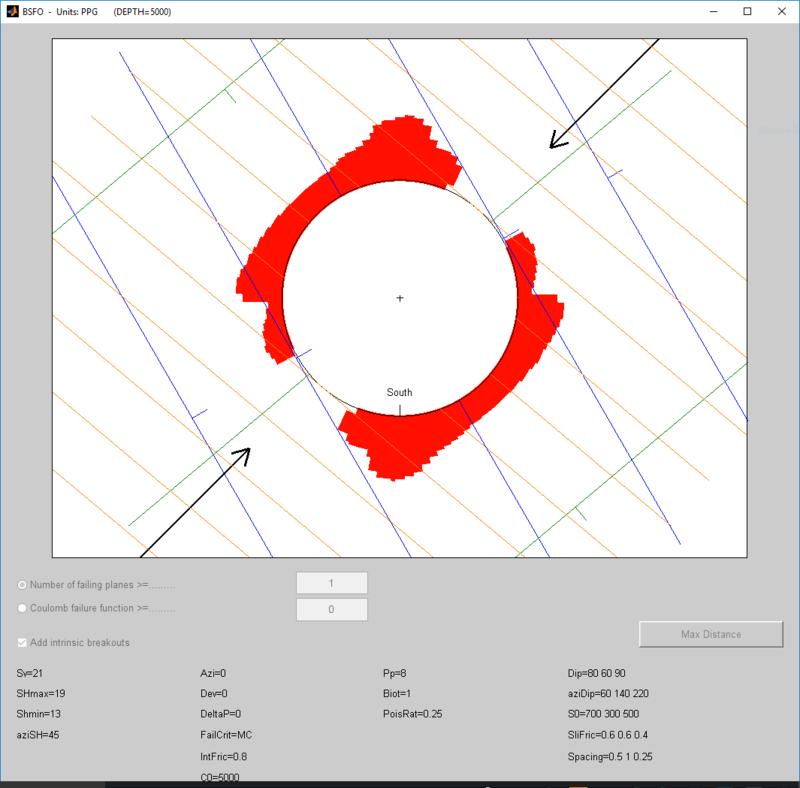 With GMI-SFIB software, our Specialists can perform detailed wellbore stability analyses at the borehole wall using several compressive failure criteria. Our Specialists can include thermal effects and account for anisotropic rock strength due to weak bedding planes. They can also employ various constitutive relationships, such as poroelasticity, thermo-poroelasticity, chemo-poroelasticity and fully coupled chemo-poroelasticity, allowing them to account for time-dependent effects on stability from mud-rock interactions. 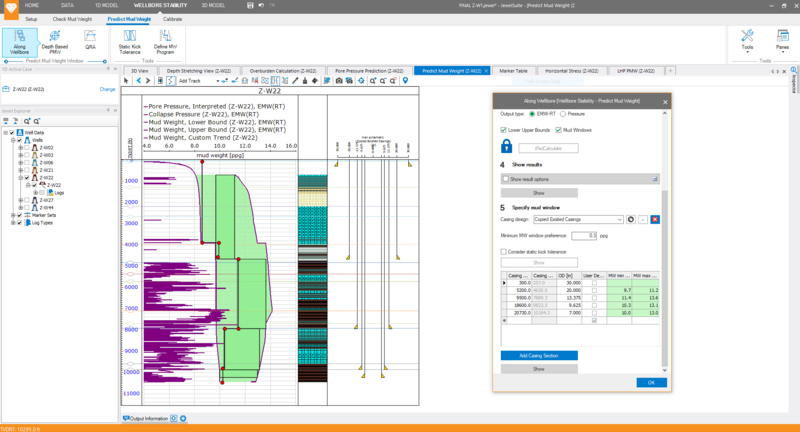 SFIB software modules allows our Specialists to hone in on accurate stress values for modeled wells, which can be translated into critical field knowledge, crucial for solving wellbore stability issues, optimizing hydraulic fracture design and maximizing production. GMI-SFIB is used in conjunction with JewelSuite™ Geomechanics to design optimally stable wellbore trajectories and determine safe mud weight windows. The accurate geomechanics models our Specialists construct can prevent excessive and costly wellbore failures and sidetracks while eliminating unnecessary casing strings. The skilled application of this effective powerful proprietary technology by our Specialists during early well planning stages diminishes costly rig time and wasted efforts, especially when using comprehensive data sets.